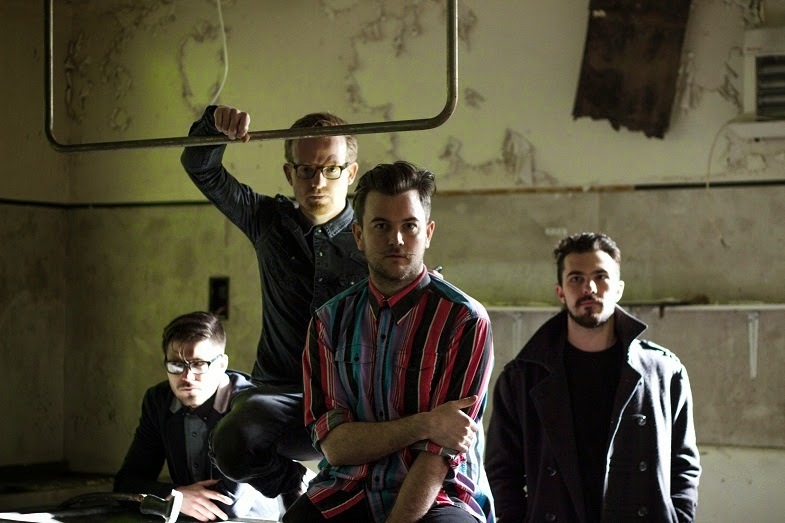 Anyone who's remotely followed the blog over recent months will know just how much of an advocate I am for London's Escapists, and as the band prepare for the release of their debut record, 'Only Bodies', things are really hotting up. Set for release August 4th I'm honoured to be premiering album track Phantom Limb, playing true to their bright and breezy melodic shifts in gorgeous style. Encapsulating everything there is to love about British guitar bands the track's soulful swelling builds with a fluctuating energy, reaching breaking point there's not much else to do except combust unleashing razor sharp guitars and lighetning fast percussion. No strangers to euphoric choruses running side by side intracate rhythmic patterns the band have shown time and time again why they're on top of their game, this only solidifying any preconceptions I had for them. Have a listen above. Lead singer Simon Glancy had the following to say on the record. "The title [Only Bodies] comes from that odd connection I have with death and how my head is often torn between the scientific and the spiritual. The past and the future too, which is often an issue for me. There's a theme throughout of outgrowing the idea of yourself and those around you and not really knowing what's coming ahead. Musically it's everything that we wanted in an album, pulling from all of our influences to create something completely diverse that would sit on the shelf alongside those bands that made us fall in love with music. It's the most collaborative we've ever been. Working with James [Kenosha (Pulled Apart By Horses, Dry The River, Rhodes)] was amazing as we had such a clear vision of how we wanted it to sound and how fast we wanted to work. He was so fast that we could get away with only a few takes to keep it feeling fresh but with an amazing production quality and attention to detail"
You can pick up 'Only Bodies' from August 4th from iTunes here. Be sure to stream the already acclaimed tracks Eyes, Breaking It Up and Blood below.